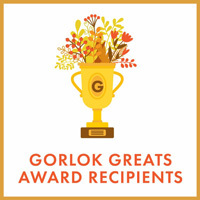 Do you know a deserving staff member who meets the criteria for the Gorlok Greats award? If yes, take a few minutes and nominate him or her for the outstanding work he or she does. This $500 award acknowledges either an individual act or a sustained effort of exemplary service. Last year we had 31 individuals recognized for their outstanding work with six finalists.